Obituary for Sandra "Sis" J. Umstead | Hile-Best Funeral Home, Inc.
Sandra J. 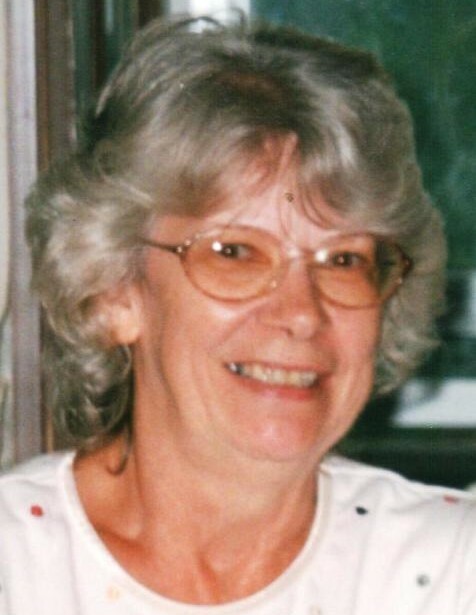 "Sis" (Fike) Umstead, 77, of Kennerdell, Rockland Township, died Wednesday evening, February 6, 2019 at Oil City Healthcare. She was born in Oil City on January 27, 1942 to the late Leonard and Tressie (Goodman) Sandrock. She was a graduate of North Clarion High School. Sis was a former member of the Rockland Sportsman Club and the Rockland Volunteer Fire Department. She was a member of Rockland United Methodist Church. Sis enjoyed fishing and camping. She was married in Seneca on September 23, 1994 to Ronald E. Umstead, and he preceded her in death on July 18, 2018. Surviving are two children: Brenda McCool and her husband Jeff of Dempseytown, and Eric "Rick" Fike and his fiancé Darlene of Rocky Grove; two step-children: Ronda Jones and husband Jim of Victory Heights, and Todd Umstead and wife Kim of Emlenton; her grandchildren: Christie Culver and husband Matt, Nicole Malone, Andrew "A.J." Malone, Kristen Thompson and husband Eddie, Brittany Fike, Heather McCool, Jeffrey McCool, Zac Jones and wife Nicole, Betsy Jones, Lindsey Wilson and husband Justin, and Dustin Holton and wife Michelle; and great-grandchildren: Caden, Micha, and Cammie Culver, Mark "M.J." Groger, Raelynn and Hanley Thompson, Adriann Jones, Jesse Hazlett, and Blaine Wilson. Also surviving is her sister, Maxine Motter of Clarion; and numerous nieces and nephews. In addition to her parents and husband, she was preceded in death by her brothers, Clyde, Orval, Alvin, and Ronald "Sam" Sandrock; and her sisters, Helen Beary and Ila May Hartzell. Friends will be received Saturday (Feb. 9th) from Noon until 2 p.m. in the Hile-Best Funeral Home, 2781 Rte. 257 in Seneca, Cranberry Township, where the funeral service will follow Saturday at 2 p.m., officiated by Pastor Cindy Weber. Private interment will be in the Rockland Cemetery in Kennerdell. Memorial contributions may be made to the Rockland Volunteer Fire Dept., 995 Pittsville Rd., Kennerdell, PA 16374; or to a charity of one's choice.